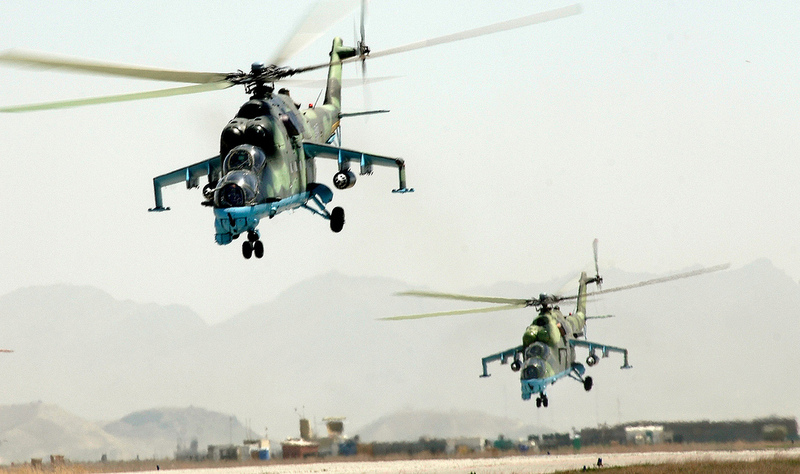 HomeRogue StatesSyriaRussian Attack helicopter shipment to Syria stopped. By cancelled insurance. Many media outlets are reporting the fact that Syria is expecting a shipment of Mil Mi-35 attack helicopters which were in Russia for maintenance, and were being returned. The MV Alaed had picked up its cargo at the Russian port of Kaliningrad and had proceeded south through the North Sea and stopped off Scotland’s Western Isles when it was told its insurance had been cancelled. British insurer Standard Club had been approached by British security officials and had been informed that the ship was carrying arms destined for Syria and the Insurance provided was in contravention of EU sanctions. Standard Club immediately cancelled insurance to all ships owned by Femco a Russian cargo line, due to the nature of the shipment. It’s thought that the MV Alaed was on its way to the Russian naval base at Tartous in Syria. The Mi-35 is an export version of the Mil Mi-24 Hind gunship that Assad has recently started to use against the Free Syrian Army. This impressive photo of a U.S. Coast Guard C-130J clearly shows what wingtip vortices look like.